The Americans with Disabilities Act requires companies provide individuals who have a disability with proper ADA-compliant signage in their establishments. 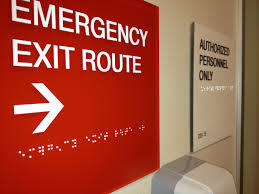 ADA signs can be used to show your customers where to park if they are handicapped as well as which bathrooms in your business are handicapped accessible. In addition to restroom signs, there are other types of ADA signage for businesses that should be installed. For example, braille signs can be put up to help those who cannot see well when they visit your business. Custom ADA signs will make life significantly easier on your customers, and by putting ADA signs in your store, you can show those with disabilities that you value their time and business. Shop our selection to learn more.